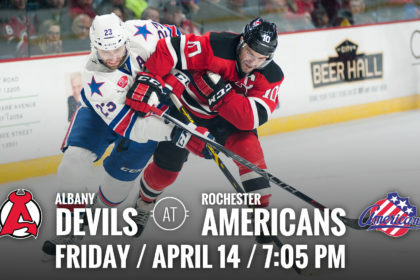 ROCHESTER, NY — The Albany Devils travel to take on the Rochester Americans Friday at Blue Cross Arena for a 7:05 pm puck drop. 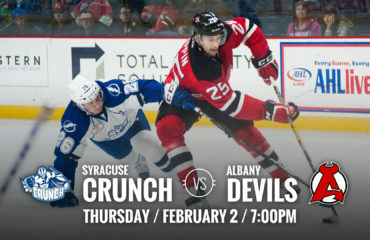 The Devils are coming off a 6-3 win against the Hartford Wolf Pack Wednesday. Their current record stands at 38-31-2-3. 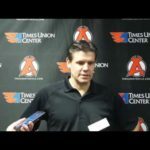 The Amerks are coming off a 3-2 shootout loss against Binghamton Wednesday and hold a 31-40-0-3 record. 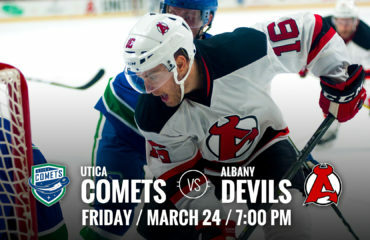 Here We Come: The Devils clinched a playoff spot Wednesday when they beat the Wolf Pack, and Utica lost to Syracuse. 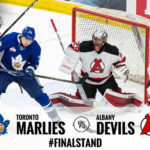 The Devils join the Toronto Marlies and the Syracuse Crunch in the North Division for the post-season. 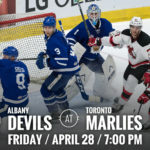 Fighting for the final spot are the St. John’s IceCaps and the Utica Comets, who sit in fourth and fifth place with 80 and 77 points, respectively. Multiple Point Game: During Wednesday’s victory, Blake Coleman, Miles Wood and Jacob MacDonald all registered multiple points. 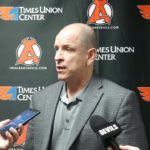 Coleman earned two assists, Wood earned one goal and one assist and MacDonald got three points with one goal and two assists. 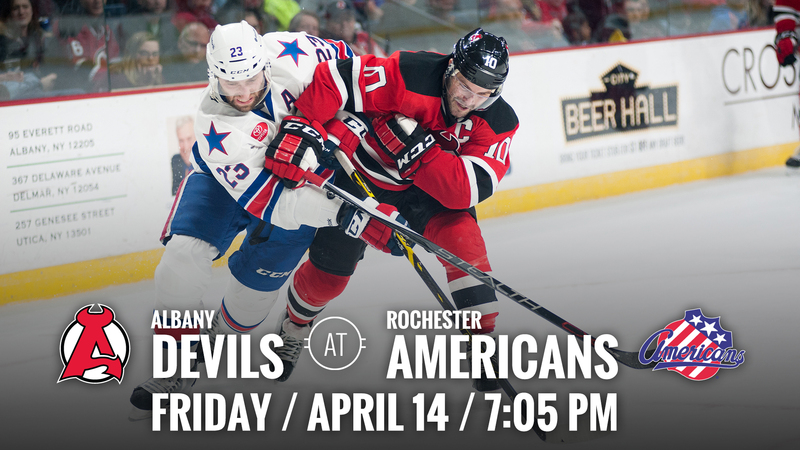 Gone Streaking: John Quenneville has earned five points (2g-3a) in the last five games. 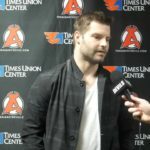 He has 46 points (14g-32a) on the season. 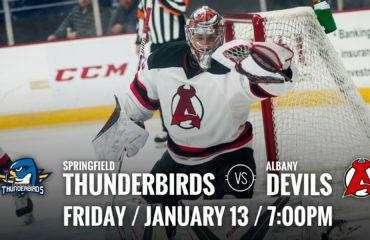 MacDonald is also on a point streak, earning nine points (1g-8a) in the last five games he’s played in with 24 points (8g-16a) during this season. Brian Gibbons has four points (2g-2a) in the last four games with 35 points (15g-20a) so far this season. Lastly, Carter Camper has three points (3a) in three games and has 32 points (5g-27a) so far this season.